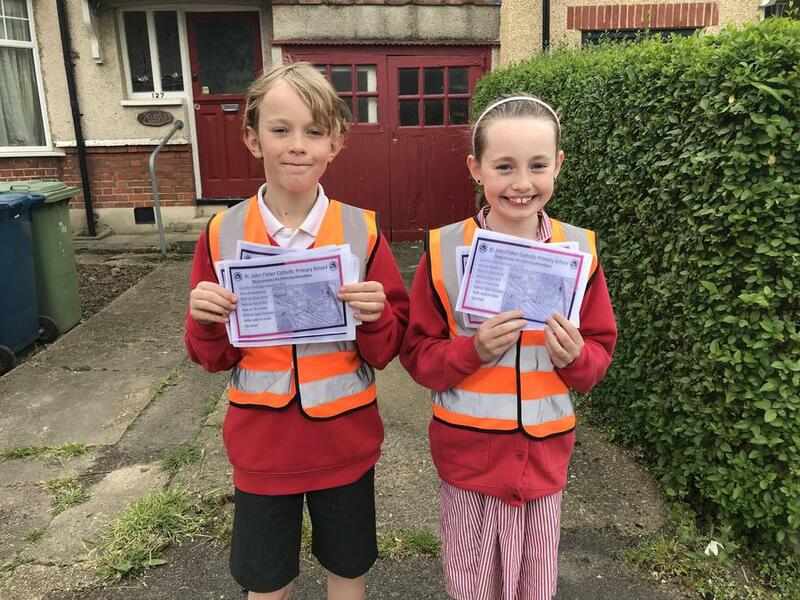 The Five-Day Walking Challenge - each day, the pupils who walked to school were given a sticker to add to a ‘Walking Roots’ class wall chart. 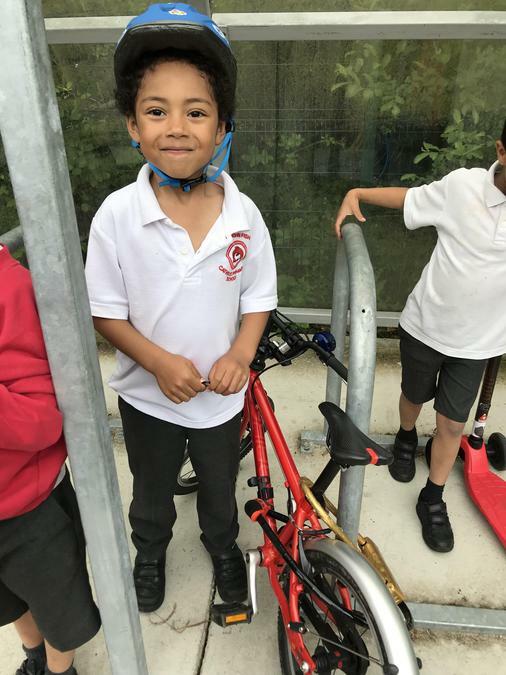 The more active journeys made, the fuller the wall chart became. 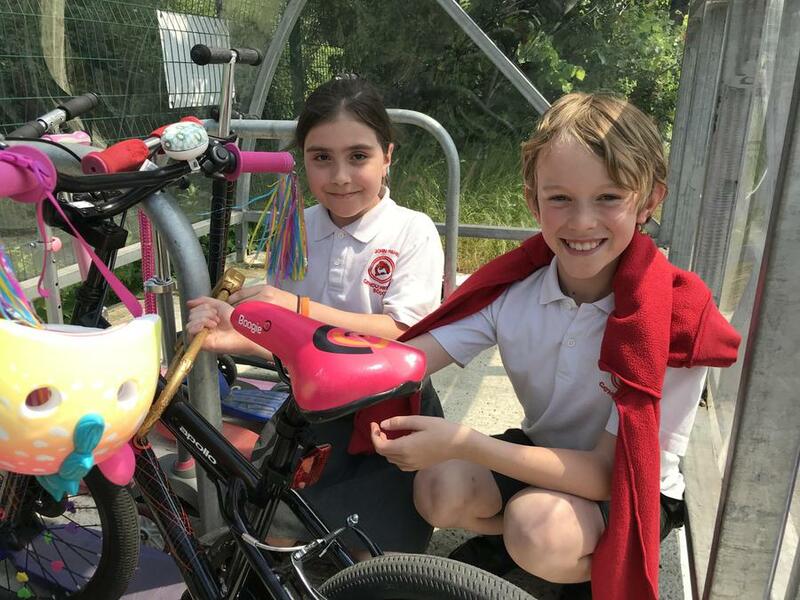 We added up all the journeys made at the end of the week. 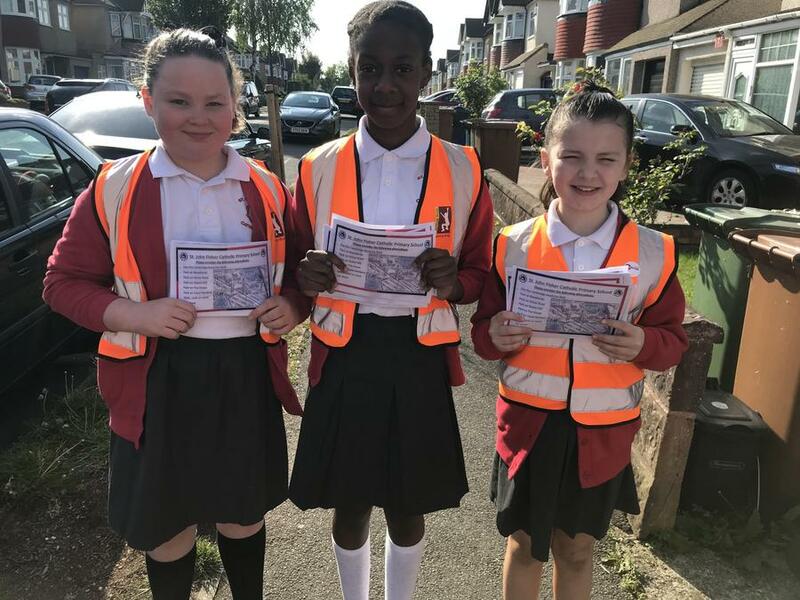 Each pupil was given a Five-Day Walking Challenge Activity Diary that they completed at home during the week. 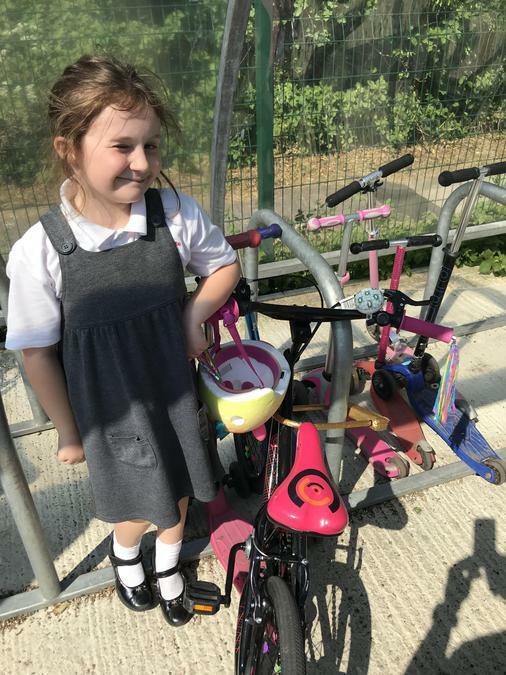 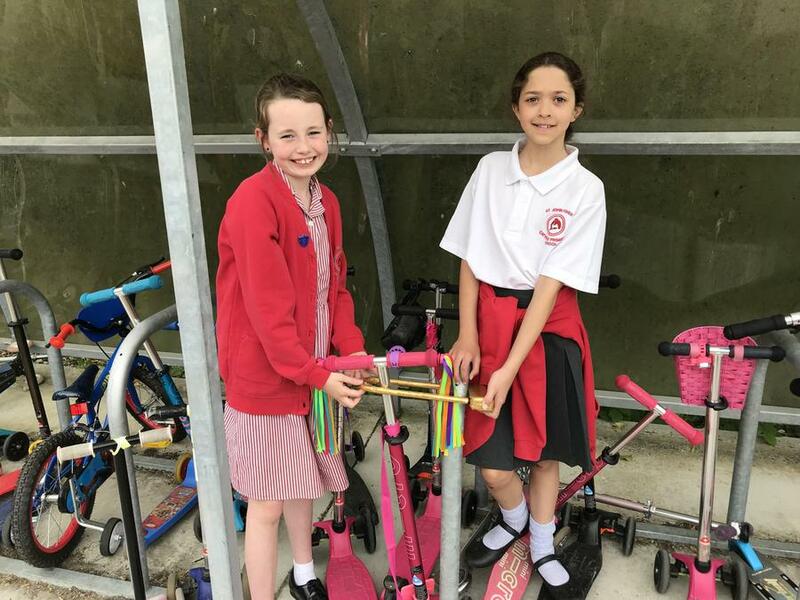 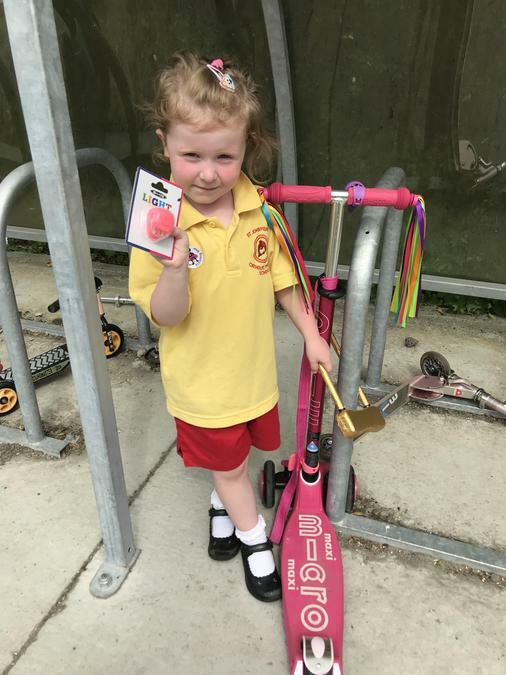 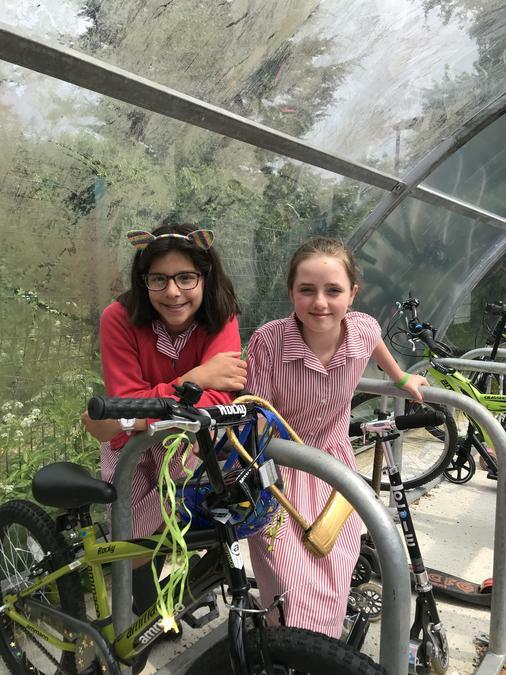 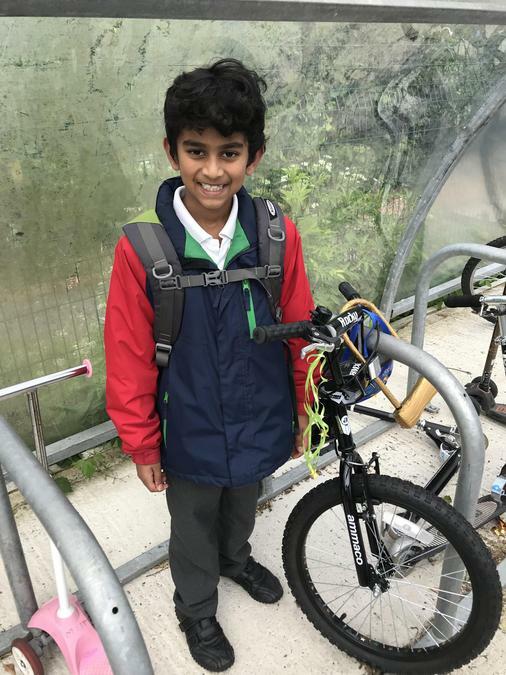 The JTAs awarded a ‘Golden Lock’ to a clean, well maintained bicycle/scooter parked in the school bicycle shed each day of Walk to School Week. 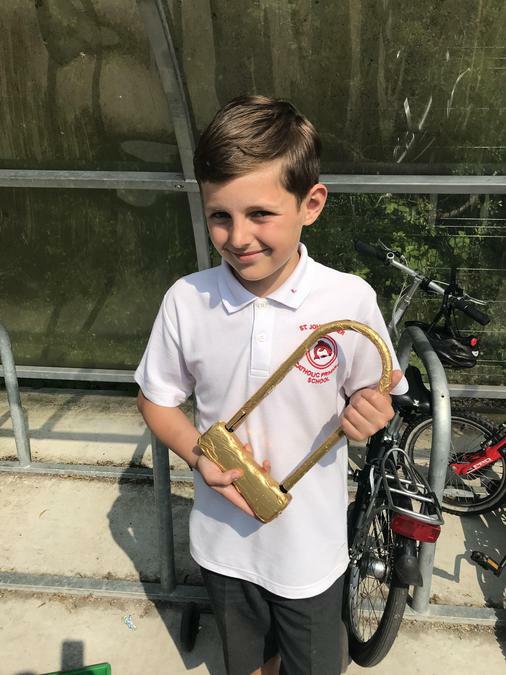 The owner of the bicycle/scooter with the ‘Golden Lock’ received a prize. 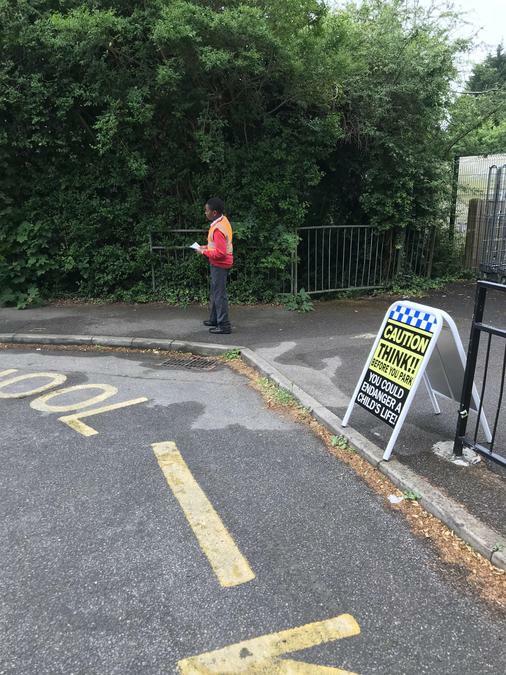 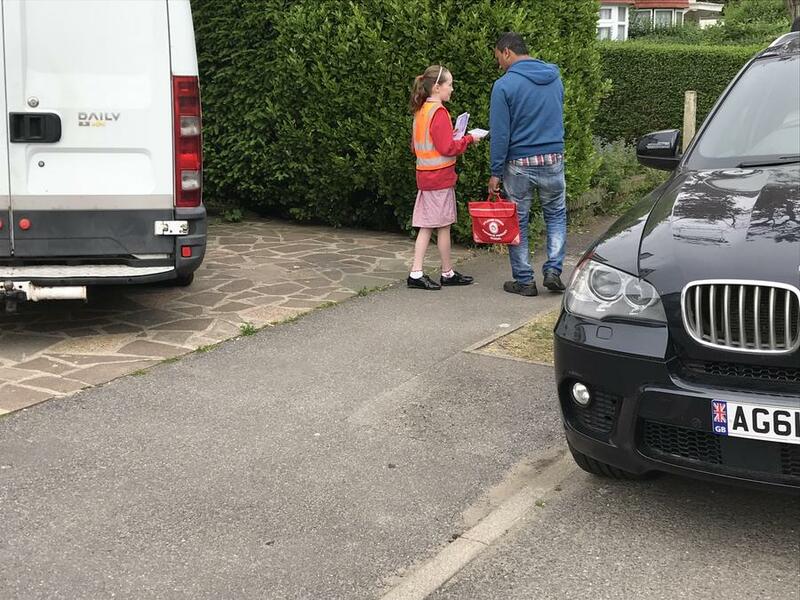 The JTAs encouraged parents to find alternatives to parking on Melrose and Cambridge roads by handing out application forms for the Cambridge Road car park each morning. 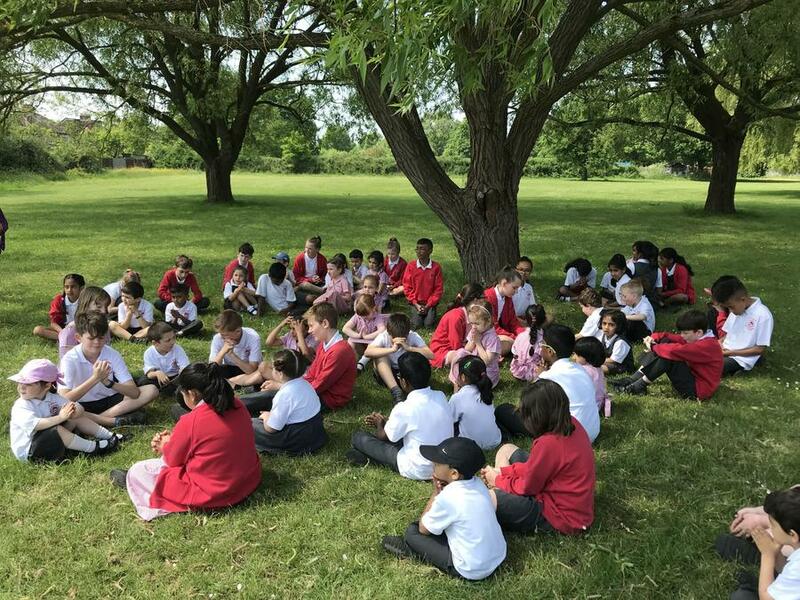 Share the Journey - Pope Francis has asked schools to join others and walk around the world this summer. 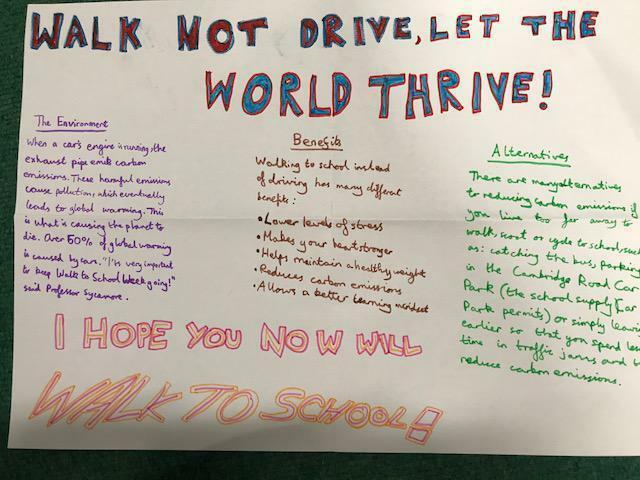 CAFOD are aiming to walk 24,900 miles – the distance around the whole world. 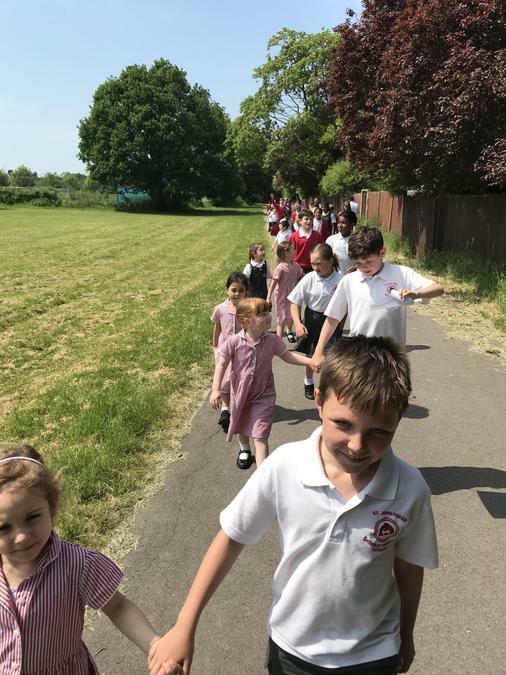 To show that we care about the millions of people who are forced to flee their homes and make desperate journeys in search of refuge, we all walked one mile during the school day – this totalled approximately 530 miles! 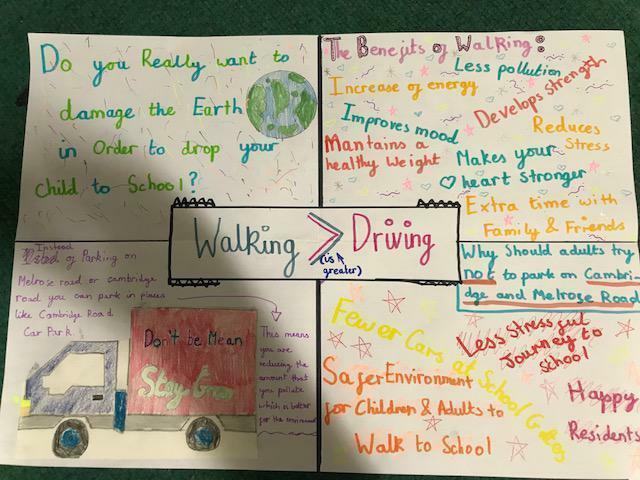 A persuasive poster competition – pupils designed posters promoting the benefits of walking to school. 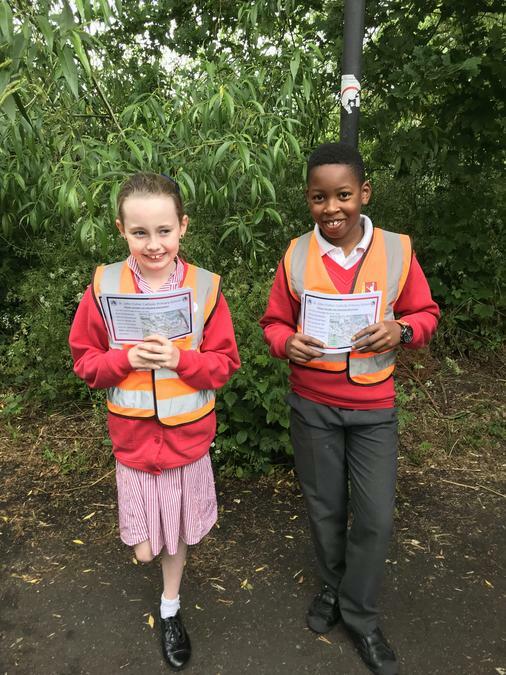 Each day of Walk to School Week, the pupils who walked to school were given a sticker to add to a ‘Walking Roots’ class wall chart. 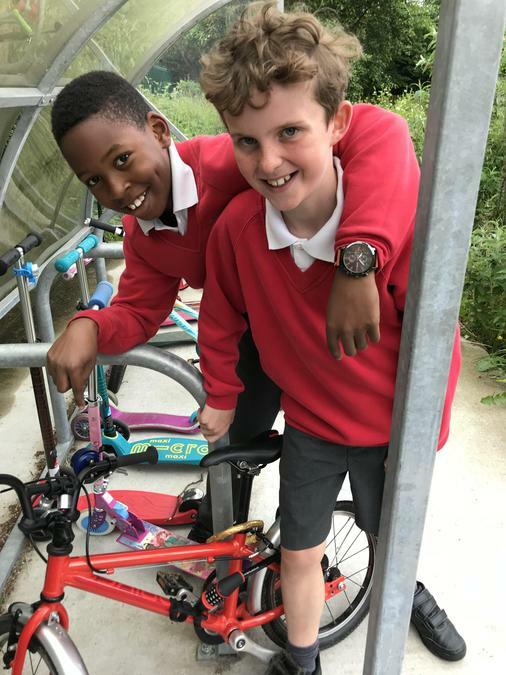 The more active journeys made, the fuller the wall chart became. 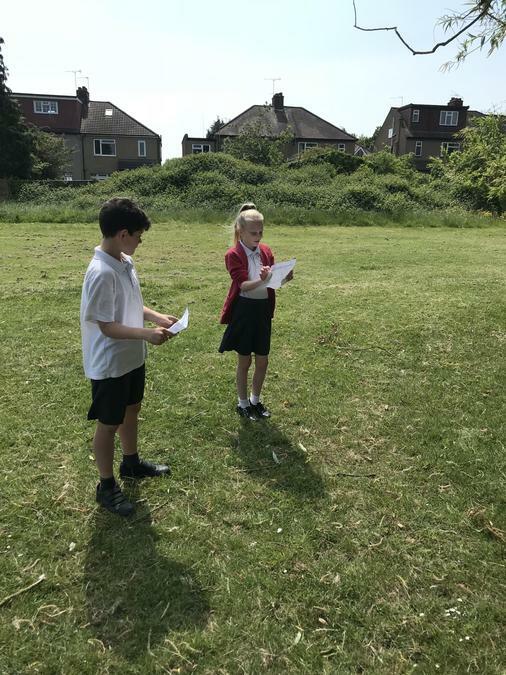 We added up all the journeys made at the end of the week.